Save the date! 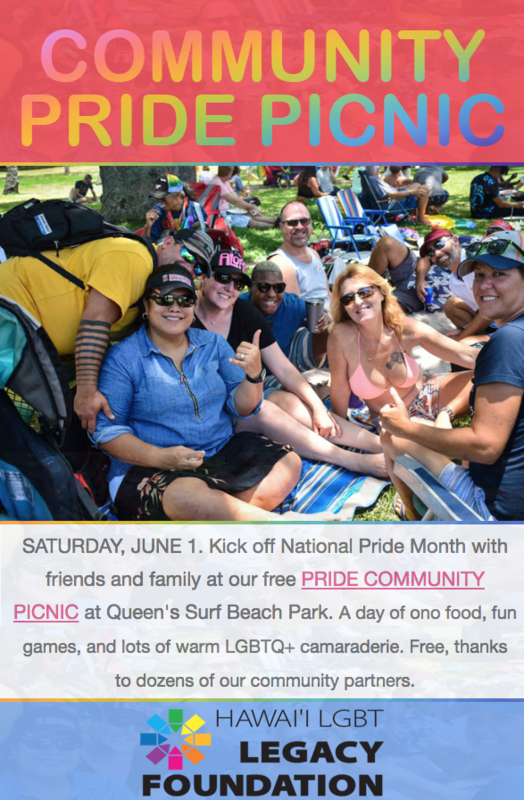 The 2019 Community Pride Picnic will be held on June 1 at Queens Surf Beach Park to celebrate the beginning of National Pride Month. Our Annual Community Pride Picnic brings together more than 400 friends and families to enjoy a tasty cook-out, “summer camp” games, special activities for the keiki, and an incredible wave of LGBTQ+ love and aloha. And thanks to our community partners, it’s FREE! Click here for photos from the 2018 picnic by Kat Wade in the Star Advertiser. 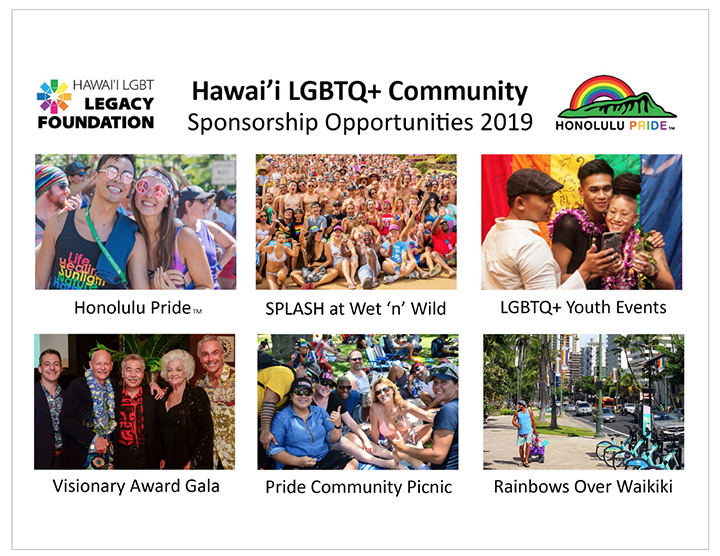 The Hawaii LGBT Legacy Foundation hosts several events each year to bring our community together to celebrate, create solidarity, highlight our sponsors and partners, and to raise funds for our projects. 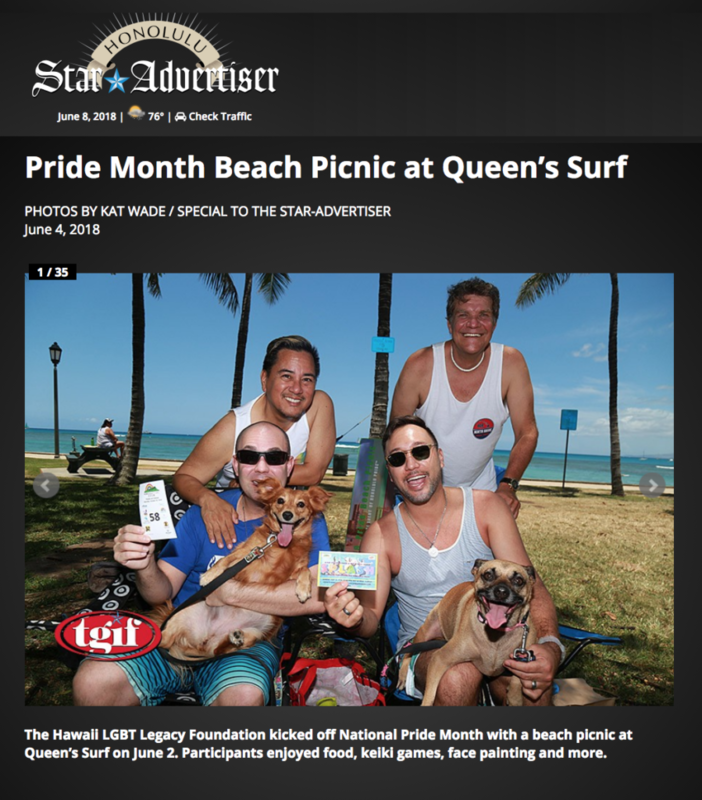 Visit the Our Events page to learn more about the Pride Community Picnic, Rainbows Over Waikiki and Honolulu Pride™.